When you decide to seek health care services, it probably seems like a simple idea: you’re not feeling too well, you’re injured, or in a best-case scenario, it’s time for a checkup, and off you go. For women who have experienced some form of gender-based violence, accessing help within the health system can be a much more fraught experience — and one student is determined to better understand the many determinants that guide victims’ decisions to seek — or avoid — care. 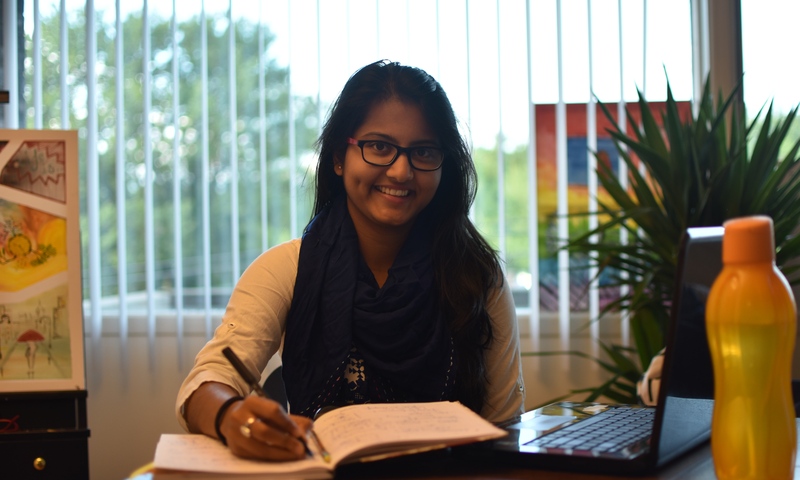 Anwesha Pathi is a student of Development Studies at the Indian Institute of Technology Madras, but for 12 weeks this summer, she’s working with grad students, postdocs, and faculty at the Université de Montréal (UdeM), as a Mitacs Globalink research intern. Her project aims to identify and better understand the contextual factors around women’s decisions to seek health care following experiences such as sexual assault outside the domestic arena — subliminal tensions underlying the provision of ethically just and equity-driven health care become apparent. “By doing this research, I need to better understand what plays a role in facilitating health care access and what hinders it,” Anwesha explains.